I'm still playing with Picasa's web features and found out I can embed a slideshow into my blog posts. This works well for a small number of photos, as with the case of Shiloh Cemetery. This predominantly African-American burial ground is an old church cemetery located in Henderson, Houston County, Georgia. 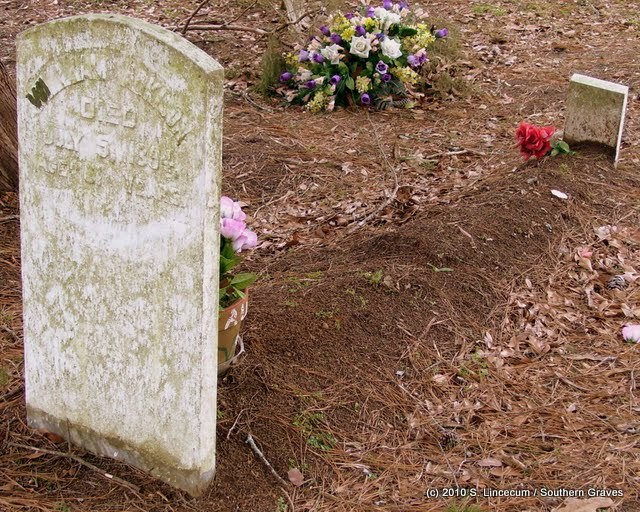 There are several dated tombstones that likely memorialize former slaves. This is not a complete survey, but a compilation of photos of some of the older stones and others that simply caught my eye. Surnames include Adkison, Amica, Davis, Hill, Jones, Nix, Riley, Simmons, Sneed, Thompson, Webb, and Williams. 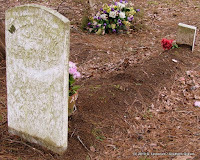 If you are interested in viewing larger images and / or individuals, as well as my commentary, you may go directly to the album here - Shiloh Cemetery. You got some beautiful shots, Stephanie! That looks like an unusual cemetery. I'll have to check out Picasa web. Good article! I've used Picasa Web for several years and love it! But I haven't tried to embed a slide show in my blog. I'll have to try that. Thanks for the idea.